Market3 is pleased to announce the new WordPress website launch for PayCommerce, of Edison, New Jersey. As a leader in the instant enterprise payments, PayCommerce’s new website redesign called for an innovative solution. PayCommerce’s global bank-to-bank transaction model creates a trusted, cross-border payments network for low-value, high-volume transactions. 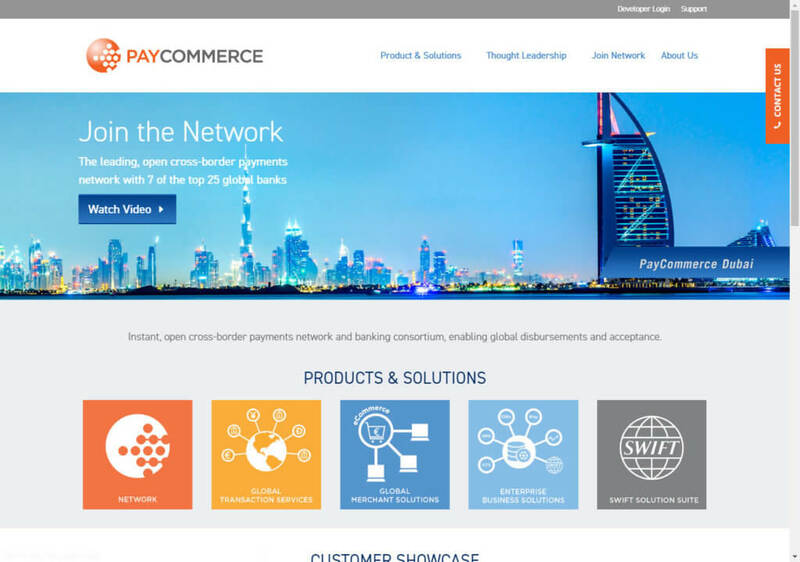 PayCommerce is a global company with offices located in Edison, Dubai, London, and Toronto. With traffic coming from banking and financial service institutions, global corporates and alternate channel providers, their WordPress website required a sleek and efficient design to manage all of their web needs. The newly redesigned website was created with a better user experience for current and potential customers and new product development announcements in mind. Market3 worked with PayCommerce on branding development for their products. The WordPress platform on which the site was designed is was fully customized to fit the company’s desires. The new website for PayCommerce includes improved graphical contents such as a video library, in addition to other interactive features. With an improved news and events section, PayCommerce can keep their global clients up to date on the latest announcements in their company. WordPress operates on a Content Managed System (CMS) enabling PayCommerce to update their entire new website. CMS eliminates the need for risky proprietary software. The client has full capability to modify and upload pages, posts, photos and videos.